I was very sorry to hear that the Peter Potter Gallery in Haddington had to close because of discontinued funding, yet another indication of how galleries and businesses are being affected due to council cuts..
My limited edition set of prints ‘Cockenzie Power Station’ were exclusively on sale here (I chose the gallery as it’s close to Cockenzie) so today I dropped in to pick up the remaining prints and I’ll be looking for a new gallery to sell them from. 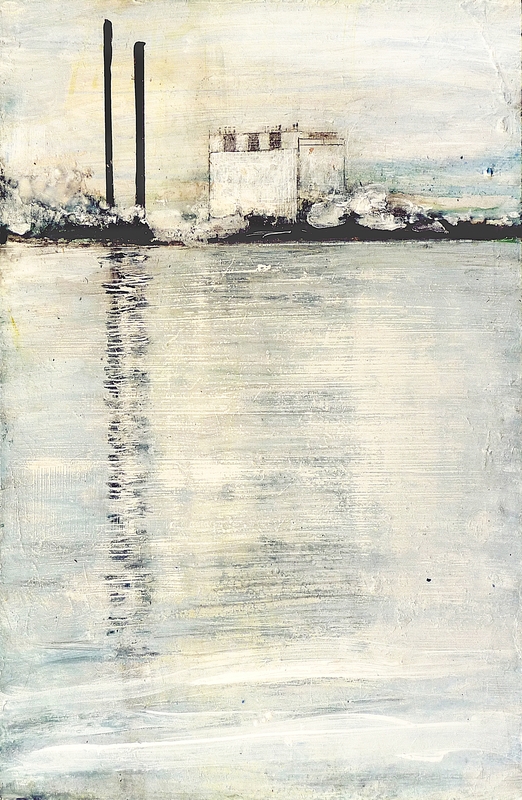 (The original sold at the Royal Scottish Academy Open Exhibition in 2015/16). It seems a real shame though, that this beautiful town now lacks a gallery. 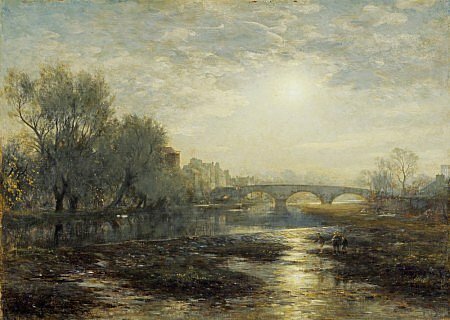 It was small but respected, regularly showing renowned artists across many contemporary forms and it’s been there for decades, situated at the end of 16th century Nungate Bridge. (Below, my photo from today, and a painting from 1901 by William Darling McKay). 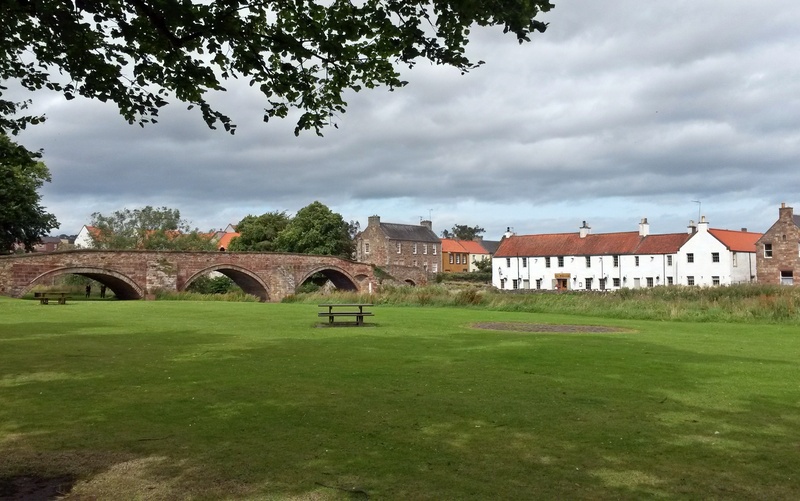 Haddington has a long and fascinating history, as do many Borders towns; this was where King Henry VIII attacked the local cathedral because Scotland refused to agree the marriage between his son Edward and Mary of Guise (Mother of Mary Queen of Scots). 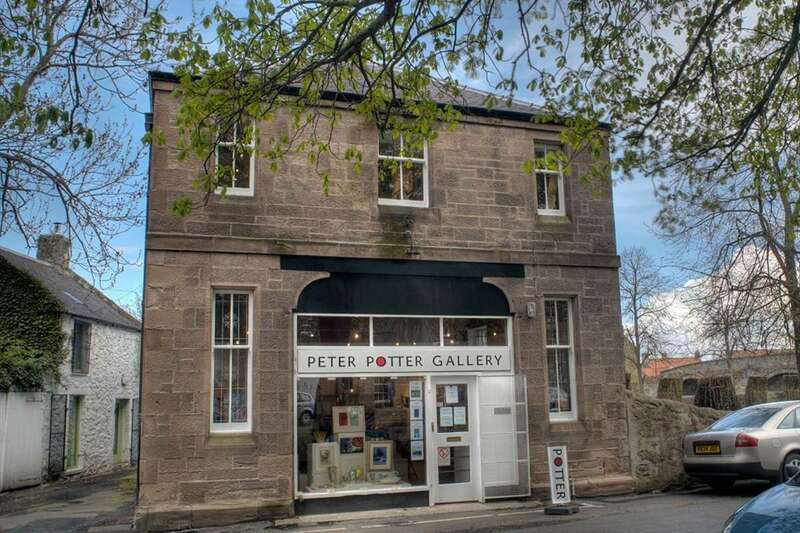 I hope the gallery will find a way to continue in one form or another once the practicalities of closing down and clearing the gallery have been sorted out. I wish it the best of luck. This entry was posted in Uncategorized and tagged Cockenzie Power station, haddington, Peter Potter Gallery on August 7, 2016 by rosestrang.